“We still don’t really know how Epy Guerrero signed this boy. It was a secret mission. All we know is that Epy Guerrero was here, and then he was gone.” (Juan Navarro, sports editor of La Prensa, in reference to the signing of Bryan Alyea out of Nicaragua). Many could tell similar stories of Epy zipping in and signing a player under the noses of scouts from other organizations. Some questioned his methods but none argued his eye for talent or his work ethic. Throughout the Dominican Republic, Epy was referred to as the Super Scout. Epy Guerrero was the successor to such legendary scouts in Latin America as Joe Cambria and Howie Haak. Building on their accomplishments, he plowed new ground in the Caribbean, including developing an academy to train in baseball skills and teach young prospects life skills before signing them to contracts to play in the United States. For 40 years, Epy was the pre-eminent scout in Spanish-speaking countries, signing 52 major-league players, many more who were on 40-man rosters, and countless others who appeared on minor-league rosters. Epifanio Obdulio “Epy” Guerrero was born on January 3, 1942, in Santo Domingo, Dominican Republic, son and grandson of men named Epifanio. His mother was Patria Abud. His father ran a grocery business and cattle farm and the family included five sons. One of Epy’s brothers, Mario, reached the major leagues, enjoying a 13-season professional career with eight seasons in the majors. Epy was signed to a contract by John Mullen of the Milwaukee Braves late in 1960. He played two seasons in the minor leagues, 1961 with the Wellsville (New York) club and 1962 with Cedar Rapids (Iowa). After being released he returned home to work with his father. Tony Pacheco of the Houston Astros hired Guerrero in 1963 to work as a part-time scout in the Dominican Republic. In 1967, after he helped with the signing of Cesar Cedeno, the Astros’ Pat Gillick hired him as a full-time scout, beginning a long working relationship. Guerrero remained with the Astros until 1973. Both he and Gillick moved to the Yankees through 1976 and then both moved on to build two World Series champions with the Toronto Blue Jays. Epy stayed with the Blue Jays through 1995. He then spent 1996 to 2003 with the Milwaukee Brewers. For three years he worked an independent scout in the Dominican Republic before retiring. In 1977 Guerrero borrowed money and established an academy in Villa Mella, about nine miles from Santo Domingo. Its purpose was to bring in young players, house them, feed them, and teach them baseball skills. English instruction was part of the package to better prepare these players if they signed a contract to come to the United States. In 1981 the Blue Jays began to use the complex. This was a pioneering idea that many other organizations soon adopted. Most major-league clubs today have an affiliation with such a complex. 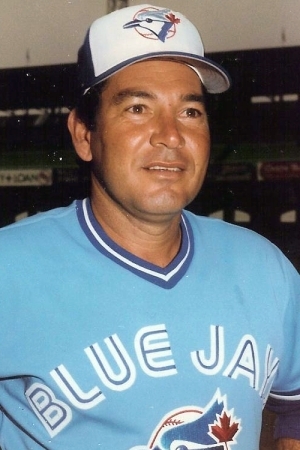 That same year, Guerrero was a coach for the Blue Jays major-league club. In 1983 he was named the manager of the Blue Jays’ Gulf Coast League rookie team. He then helped organize the Dominican Summer League, which major-league teams used to give very young players experience before moving them to play in the U.S. Besides the actual signings of players, Guerrero’s scouting abilities were utilized in other ways. While with Houston he recommended that they acquire outfielder Cesar Geronimo from the Yankees in the Rule 5 draft. Geronimo eventually became the center fielder of Cincinnati’s “Big Red Machine” back-to-back World Champions in 1975-76. Guerrero also recommended that the Blue Jays acquire George Bell, Manny Lee, and Kelly Gruber through the Rule 5 draft. He recommended that the Blue Jays trade for Fred McGriff, Roberto Alomar, Juan Berenguer, Candy Maldonado, Alfredo Griffin, Domingo Ramos, Damaso Garcia, Victor Cruz, and Juan Guzman. Guerrero also helped convert Pat Borders from third baseman to a catcher in the Dominican winter league. With his wife, Rosario, Epy raised a baseball family. They had five sons, all of whom got jobs in professional baseball. In 2011 Epifanio, nicknamed Sandy, was the hitting coach for the Triple-A Nashville Sounds in the Milwaukee Brewers organization. In 2011 Mike was the manager of Huntsville in the Southern League, the Brewers’ Doiuble-A affiliate. Patrick was a scout for the Seattle Mariners. Joel was the hitting coach for Seattle’s Dominican Summer League tram. Fred was a scout in the Dominican Republic for the Minnesota Twins. Sandy Guerrero in an interview with Mark McCarter of the Huntsville Times said of his father: “He’s a great guy. Smart. Very determined. Loves baseball. That’s his whole life.” Mike Guerrero said that Epy is able to project a player’s ability into the future. He said Epy primarily looked for arm strength, speed, and athletic ability. Epy often found and signed players others might have overlooked. He signed Damaso Garcia after watching him play soccer and being impressed with his athletic ability. Tony Fernandez as a young boy showed athletic talent but walked with a limp due to a knee problem. Guerrero paid for an operation to remove bone chips and then signed Fernandez. Mike Guerrero told of how Epy signed Jose Mesa. Mesa was riding a bicycle past a tryout camp Epy was running when a ball got loose. Mesa got off the bike and fired the ball back to the field. Epy saw this and signed him based on the strength of his arm. The Dominican Republic made Guerrero a lifetime consul of the Dominican Republic, basically granting him diplomatic status. He was also honored by the Dominican Summer League as one of its pioneers. The National newspaper once ranked Guerrero the 16th most influential person in the game, ahead of such luminaries as Pat Gillick (at the time his boss), Peter Gammons, Frank Robinson, and Jerry Reinsdorf. In 2008 he was inducted into the Santo Domingo Hall of Fame (Dominican Republic Altar de la Immortalidad de La Provincia de Santo Domingo). Guerrero’s signings include Carlos Almanzar, Luis Aquino, Geronimo Berroa, Yuniesky Betancourt, Tilson Brito, Enrique Burgos, Francisco Cabrera, Sil Campusano, Giovanni Carrara, Tony Castillo, Cesar Cedeno, Domingo Cedeno, Pasqual Coco, Francisco de la Rosa, Jesus de la Rosa, Carlos Delgado, Alcides Escobar, Jose Escobar, Kelvim Escobar, Juan Espino, Junior Felix, Tony Fernandez, Jesus Figueroa, Damaso Garcia, Freddy Garcia, Beiker Graterol, Tobias Hernandez, Jose Herrera, Edwin Hurtado, Alexis Infante, Hernan Iribarren, Al Javier, Luis Leal, Nelson Liriano, Domingo Martinez, Luis Martinez, Sandy Martinez, Jose Mesa, Julio Mosquera, Pedro Munoz, Abraham Nunez, Oswaldo Peraza, Robert Perez, Luis Pujols, Domingo Ramos, Luis Sanchez, Rafael Santana, Luis Sojo, Jose Sosa, William Suero, Alex Taveras, Dilson Torres. This biography was originally published in "Can He Play? A Look At Baseball Scouts And Their Profession" (SABR, 2011), edited by Jim Sandoval and Bill Nowlin. SABR Scouts committee databases: who signed who and scouts roster.